Posted in Yoga. Tagged with Stretching, Yoga. 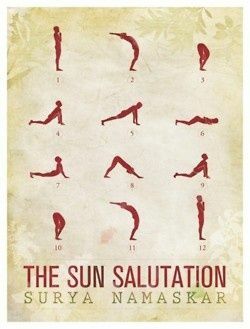 Start the day with a great Yoga Sun Salute. Use this sequence to get your mind and body in the right frame of mind to take on the day. Practice every step and focus on breathing – inhale on upward movements and exhale on downward movements and see the benefits throughout the day. Posted in Yoga. Tagged with morning, Stretching, sun, Yoga. Posted in Fitness, Yoga. Tagged with peace, strength, Stretching, Yoga. Posted in Yoga. Tagged with relaxation, Stretching, Yoga.